I hope you read last Friday’s blog post, Conspiracy Theories, because today’s post jumps right in with one more area of research on the topic: medical conspiracy theories. Researchers from the University of Chicago organized a national online survey in 2013, which collected data from 1351 adults on their (i) awareness of six specific medical conspiracy theories, (ii) level of agreement with each theory and (iii) health behaviors. Stated loosely and with the percentage of respondents who were aware of each, the conspiracy theories listed were: doctors and government know vaccines cause autism and other disorders (69%); the FDA is suppressing natural cures because of drug companies (63%); health officials know cellphones cause cancer but corporations stop any action (57%); the CIA infected African Americans with HIV (32%); water fluoridation is a secret way for industry to dump phosphate mine byproducts (25%); and global dissemination of genetically modified foods is a secret program to shrink population (19%). The survey found that the respondents’ agreement with the theories ranged from 12% to 37%, varying with the specific theory; disagreement with the theories ranged from 32% to 51%; and neutrality on the theories (neither agreeing nor disagreeing) ranged from 31% to 46%. 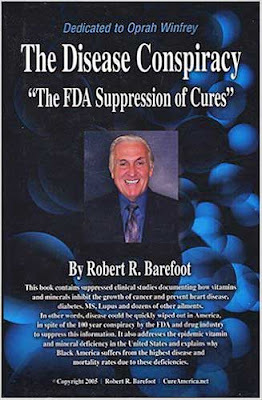 For example, 37% of the respondents agreed that the FDA was suppressing natural cures, while 20% of the respondents agreed with the conspiracy theories about cellphones and vaccines. Overall, 49% of the respondents agreed with at least 1 medical conspiracy theory and 18% of the respondents agreed with 3 or more. The researchers then related the respondents’ health behaviors to whether the respondents agreed with either 3 or more conspiracy theories, 1 or 2, or none. Health behaviors considered included: an annual physical, visiting the dentist, a flu shot, taking vitamins, taking herbal supplements, buying local/farm stand food, prioritizing organic food and using sunscreen. The results suggested that endorsement of conspiracy theories correlates with use of alternative medicine. Differences between numbers of respondents who agreed with 3 or more theories and those who agreed with none were greatest for buying local/farm stand food, taking herbal supplements, getting a flu shot and an annual physical and visiting the dentist. As examples, 37% or those who agreed with 3 or more theories bought local or farm stand food, compared to only 14% of those who agreed with none. The corresponding difference for taking herbal supplements was 35% vs. 13%, getting a flu shot, 39% vs. 25%, getting an annual physical 37% vs. 48% and visiting the dentist, 33% vs. 44%. The tallies for all but one health behavior had the number of respondents who agreed with 1 or 2 theories falling between the numbers of respondents who agreed with none and those who agreed with 3 or more. Taking vitamins was the only exception. So what have we learned? The studies reviewed in last Friday’s blog post suggested that acceptance of conspiracy theories was tied to the need for control over one’s life. But it’s clear that the best predictor of belief in one conspiracy is belief in another. 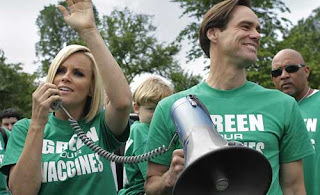 Although adherents of conspiracy theories are commonly thought to be on society’s fringe, the study reviewed here suggests that at least medical conspiracy theories are widely known in the United States, endorsed by a rather broad segment of society and generally predictive of common health behaviors.